Kara Mack is an Afro-Diasporic dancer, singer, choreographer and renaissance woman who has created a new online publication, Africa in America: Music, Dance & Culture Magazine, which launched on September 20th, 2014. The magazine aims to serve as a primary resource for both professionals and participants in the African Diasporic music, dance, and culture in America. The magazine is dedicated to becoming the voice of a growing community of artists who have had little or no representation in the music and dance fields. it will also focus on arts that address social justice issues, as well as informing readers about community organizing, grant and work opportunities, and other inspirational stories on local and national levels. Africa in America Presents its 4th Annual Original Works Showcase for African Diasporic Music and Dance entitled "We the people..." October 27th and 28th 2017 at Barnsdall Gallery Theater! Both nights will begin at 8pm. This year we are focusing on original dance works, musical compositions, songs, and poetry as well. Using the famous American document that begins with the same tag line, this year's theme is catered to the need for unity in the mist of the cloud of division that is permeating America. It is our duty to recognize that when people come together, mountains move and worlds are changed forever...so let's continue to change this world as one. Here are all of the phenomenal artists who will be presenting their original work through spoken word, music, song, and dance. Singer, Dance, Choreographer Kara Mack will be presenting new original work entitled, "Nothing is New Under the Sun". The entire piece will be done to the last 20mins of Martin Luther King Jr.'s final speech, "I've Been to the Mountaintop." Maya Jupiter's Australian Hip Hop MC perspective from a cultural diasporic standpoint that includes strong North African influences is bound to leave you speechless. Hew work will be titled, "We the People." Tatiana Zamir will be premiering new work that explores the nuances of black rage and joy as a pathway for healing. Supported by musical selections ranging from Solange's song Mad from her acclaimed album: A Seat at The Table, as well as Moses Sumney's Doomed, newly released from his upcoming album Aromanticism. Tatiana's creative process is inspired by personal narratives and the desire to create insightful art that examines ongoing racial upheaval in America. It is about loss, pain, connection, community, creating sacred healing spaces, and uncovering the possibilities of building a future grounded in a collective vision. Be more than mesmerized by the deep and resounding sounds that come from this phenomenal singer Felicia Onyi Richards. She is an amazing singer who has performed with various groups locally in Los Angeles, CA. She is currently working on solo material and is also a background singer for world-renown Ghananian singer Rocky Dawuni. Don't miss this up and coming songstress for 2 nights back to back! Even though we have been wanting to do this from the beginning, it is our pleasure to announce our first musical composition piece composed by 2-time Grammy Winner percussionist Magatte Fall! Weaving together various percussion rhythms, styles, and flavors of the African Diasporic Magatte will show through music the need for us to be more united. 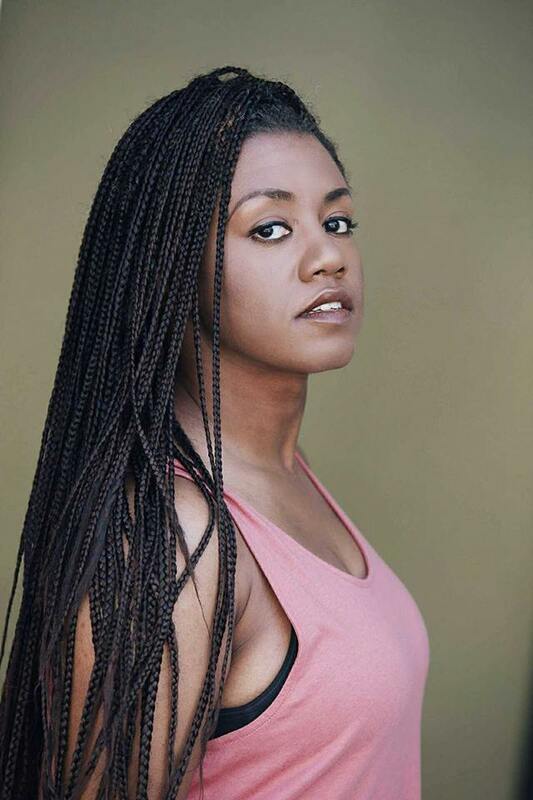 It will be great to hear Shateire's perspective as a young, African American San Diego SLAM poet. Her words will sure leave you reflecting on what you can do as an individual to bring about change. We are super excited about Nakeiltha Nikki Campbell Afro-Panamanian Original Work; in collaboration with Grupo Congo Istmeno and special guest artists! Her piece entitled, "Remembrance" depicts a dramatize choreography of Afro Panamanian folklore with an exploration of sound, movement, spoken word that tells the story of community celebration, resistance, rituals, and evolution. The Congo Dance is a unique colorful manifestation using multicolored cloths, jewels and crowns that dates back in the 16th century when Africans were first brought to the Americas and parodies a life of the queens and kings that ruled over them. Panamanian used this tradition not only to make a mockery of royalty, but to regain some of the dignity that was taken from them. The Barnsdall Gallery Theatre (BGT) is owned and operated by the City of Los Angeles, Department of Cultural Affair’s Community Arts Division as a low­-priced rental house available for live theatre, dance, music, spoken word, lecture, film and special events. The Theatre is a 299-seat proscenium stage with a basic lighting and sound package, as well as a high ­definition digital projector and a built-­in 16mm film, slide and video projector. The Theatre’s goal is to encourage community and professional producers to present artistic and diverse cultural events at the lowest possible admission price to maximize attendance and audience engagement.